She could hear them stomping across the boards above her. Dangerous brutes with slavering fangs, she'd watched as they cut down her father and brother. Her mother hid her in the root cellar, and told her to be quiet. She was supposed to be too young to know what the sounds above her should mean, but she knew anyway. Over the sounds of her mother's sobs and screams, she heard the creatures snuffling, scenting her but unable to find her. 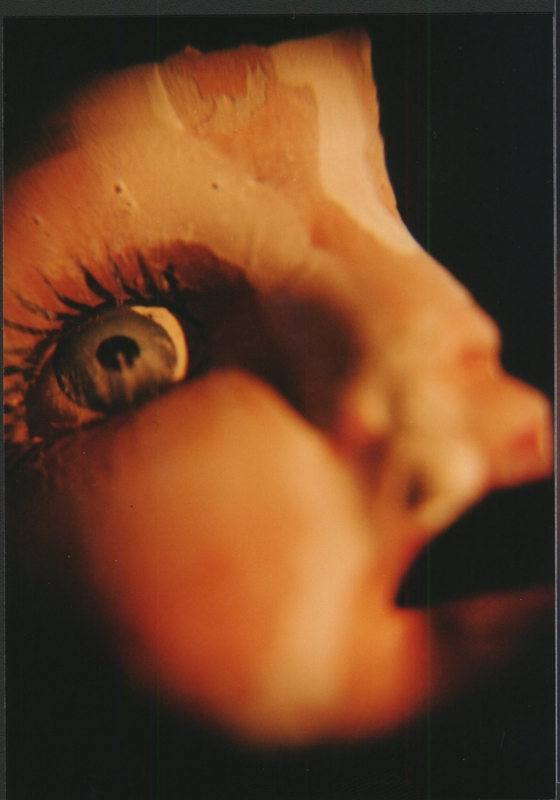 That was when her dolly started whispering to her. We don't have much time, Marianna the raggedy little toy told her. Here, take this stick, and draw a circle. Marianna did as she was bid, tracing arcane patterns she recognized but didn't know; shapes remembered from a dream. Dirt slid under her nails, and rocks rasped against her fingertip, but she didn't even think about slowing down. Not even when she bled into the design. Now put me in the circle the doll said without moving her mouth, and repeat after me. When you picture a summoner, chances are your brain defaults to the classic spellcaster. Someone learned in the ways and practices of the arcane, and who has great experience with conjuration. But summoners are unique; they form a bond with a single outsider. What if it was the outsider who reached out to the summoner, and not the other way around? There we go. Now, if you need me, I'm just a few minutes away. Outsiders are powerful creatures, and there are a thousand ways they might reach out to the young and impressionable. The outsider might have had dealings with this bloodline for centuries, so it always knows where to find the next summoner. The child might live near a place that's thin, or which has acted as an anchor point for the outsider in the past. 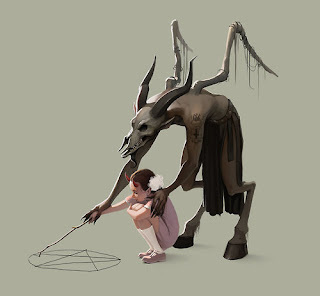 The eidolon might be viewed as a guardian of a particular tribe, and it chooses who it will bond with from the children of a new generation when the old summoner dies. There might even be a common dare, or a rhyme, that contains a nugget of arcane truth in it for the child who says it at the right time, in the proper place. The eidolon might not manifest all at once, either. When the child is very young, they might play elaborate games with an imaginary friend. They might make up rhymes, or draw strange symbols. They might have cuts they can't, or don't want to, explain. But when they need their friend, they're always there. Whether it's to protect them from bullies, save them from animal attacks, or to stand between them and a pack of slavering raiders. Good? Bad? Or Just Plain Ugly? Outsiders are inherently alien creatures. They're inhuman, their very forms and essences require the summoner's mind and will to shape them in order to make them manifest in the world. But they also come from every segment of the alignment spectrum, and their goals can be noble, or monstrous. As a for instance, a particular spirit could genuinely want to help its summoner. It forges a pact to grow with them, and protect them, allowing them to become more than the child had ever thought possible. The eidolon teaches it what it knows, and both he and the summoner go into the world. Investigators, righters of wrongs, and seekers of secrets, they are a pair to be feared by the wicked, and welcomed by those in need. But what if the eidolon had an ulterior motive? To enlist his host in an ongoing battle against a rival outsider being fought on the material plane, for example? That rival is evil, and its machinations will lead to pain and suffering, but is enlisting the aid of a child soldier the way to do it? Or is that the sort of moral failing that bothers mortals, but confuses an outsider? Or you could take it the other way. A spoiled, or bullying child might call an outsider who wants to nurture the seed of wickedness growing in him. Right now he is only capable of small evils, but with the aid of an eidolon, he could accomplish so much more. They could accomplish so much more. What If I Can't Play A Child? There are some DMs, and some tables, that aren't comfortable with characters who are still children. If that's the case, there's nothing that says you can't be a technical adult at this point in your adventuring career. Maybe it took the outsider time to persuade you, or you had to dig for the proper ritual because it couldn't just tell you. Perhaps it's been with you for years, helping you grow in strength until you could pull through enough of its essence to manifest it. The Possessed trait might be a good explanation for those voices, for example, and it might even allow you to maintain a tiny piece of your eidolon, even if it's not on this plane, if you're looking for a story hook. There are all kinds of solutions if this idea appeals to you. Regardless, though, who wouldn't be terrified by a huge, ursine eidolon who looks like a child's toy tried to become a grizzly bear, and mostly succeeded? For more inspiration, check out 5 Tips For Playing Better Summoners! Well, that's all for this week's Unusual Character Concepts. Hopefully it got the gears turning in your head, and you've got an idea or two to horrify your DM... or your players! If you'd like to support Improved Initiative so I can keep bringing great content like this right to your screen, why not head over to The Literary Mercenary's Patreon page? All it takes is $1 a month, and you get some sweet swag in addition to my undying gratitude. Lastly, if you haven't followed me on Facebook, Tumblr, or Twitter yet, well, why not start today? My wife played a character with this concept with a Synthesist archetype. The idea she had was that the Eidolon had been drawn to her from birth, but after she had been kidnapped, it felt the need to take action to save her. She wasn't strong enough to summon it on it's own, so it bonded onto her instead. It worked out a lot better than you might think.